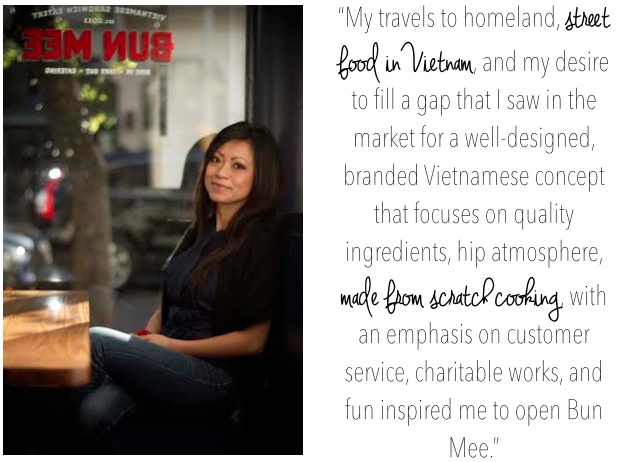 Why did you decide to open Bun Mee in San Francisco, and what drew you to the Fillmore / Lower Pac Heights neighborhood ? I moved to San Francisco from New York City several years ago, and I found San Francisco to be a great fit for Bun Mee because, in my opinion, SF is the real food capital of the nation. San Francisco drives food trends and is really more progressive than New York when it comes to farm-to-table cooking, especially with the abundance of great local ingredients. Coming to San Francisco and introducing my interpretation of bánh mì was a good fit because San Franciscans are adventurous and knowledgable about food and ingredients. It was also a risk, but luckily we were well received from day one. What are some of your favorite spots on Fillmore? You now have another location open on Market in the FiDi - why did you choose that neighborhood as your second location? Our market street location was opened to meet the growing catering demand for our food. We opened market street as a flag ship store on a key street in the city and to be closer to our catering clients who mostly are located in the Financial District and SOMA. 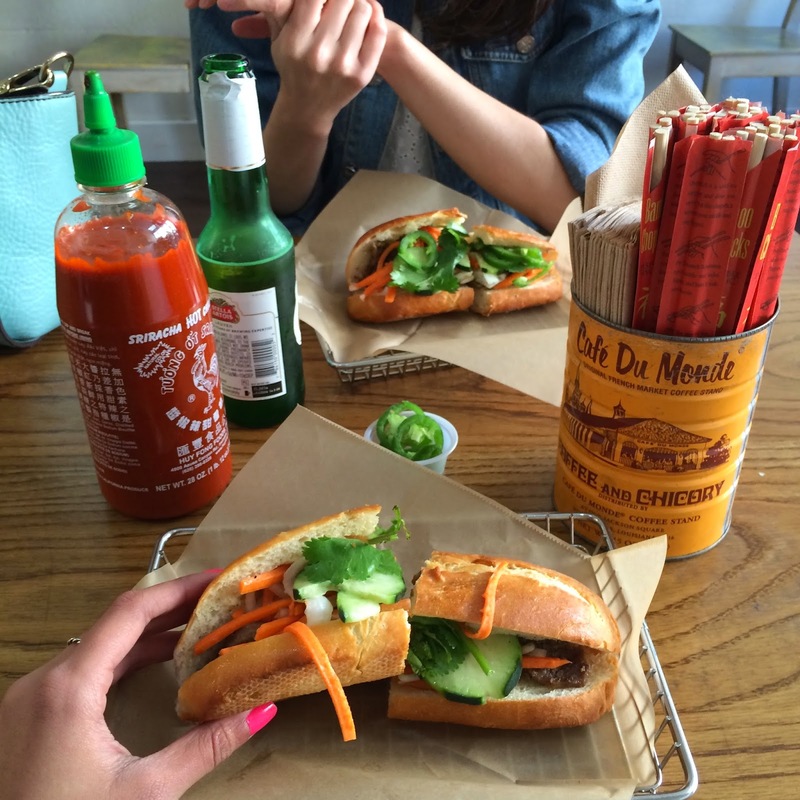 What distinguishes your restaurant and dishes from other bánh mì-style restaurants in the city? We take items that are tried and true and put our own spin on it, and although we treasure our very traditional dishes, such as the bun noodle bowl and lemongrass pork bánh mì, we do take liberties with our bánh mìs - for example, our beloved sloppy that is slightly spicy with curry, lemongrass flavors. We believe in just coming up with flavorful combinations - sometimes out of the box - and pushing the envelope when we can. Obviously it'd be hard to pick just one item from your menu as a "favorite," but which item or combo of items would you suggest to a first-time visitor and why? 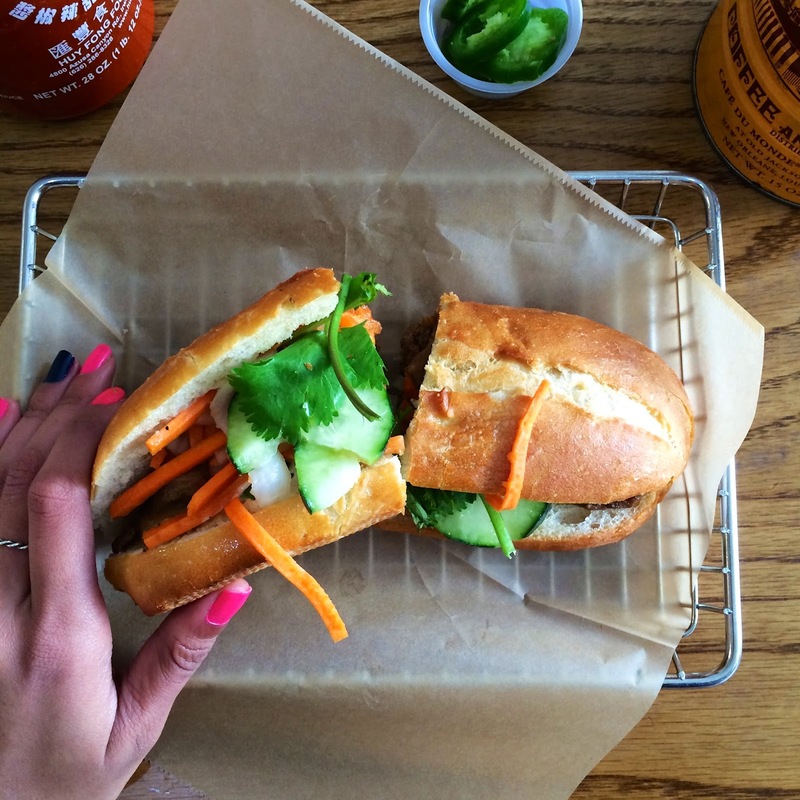 Our top sellers are the pork and chicken bánh mì. My personal favorites are the sloppy with egg, belly with egg, and catfish sammy. 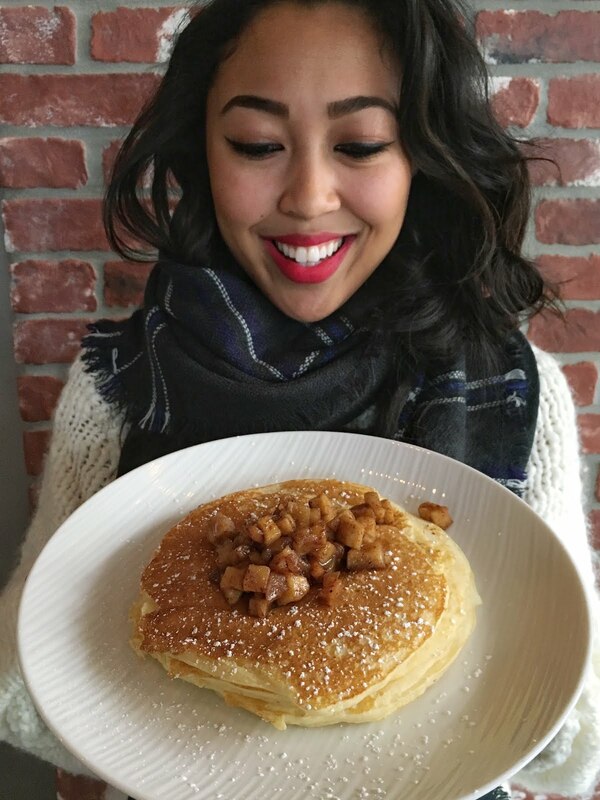 I love light pancakes that have a slightly chewy texture. Lemon ricotta and blueberry pancakes are my favorite. I love the ones from Blue Jay Cafe because they have this amazing strawberry butter that compliments their light fluffy pancakes that are to die for! It is definitely a treat on my cheat day. 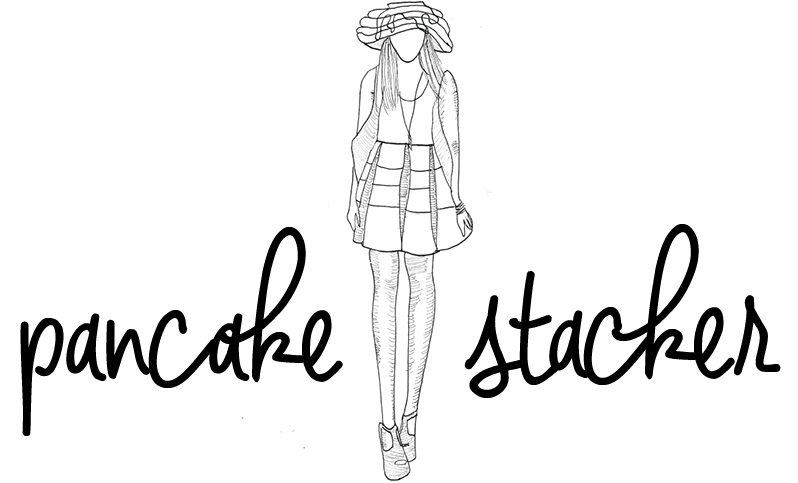 Love Bun Mee as much as this girl right here? Leave a comment below and one lucky ducky will get a special treat courtesy of Denise and the team at Bun Mee! Special thanks to Denise and Bun Mee for taking the time to answer my questions and take part in my pancakePROFILES series. Anyone or thing you want to learn more about next? Want to tell me your story? Comment below or shoot me an email!